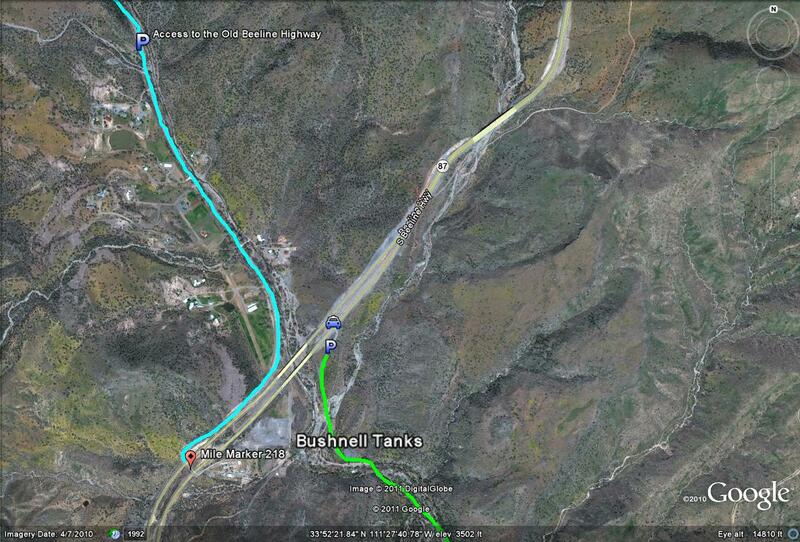 This map shows the access points to the Bushnell Tanks. 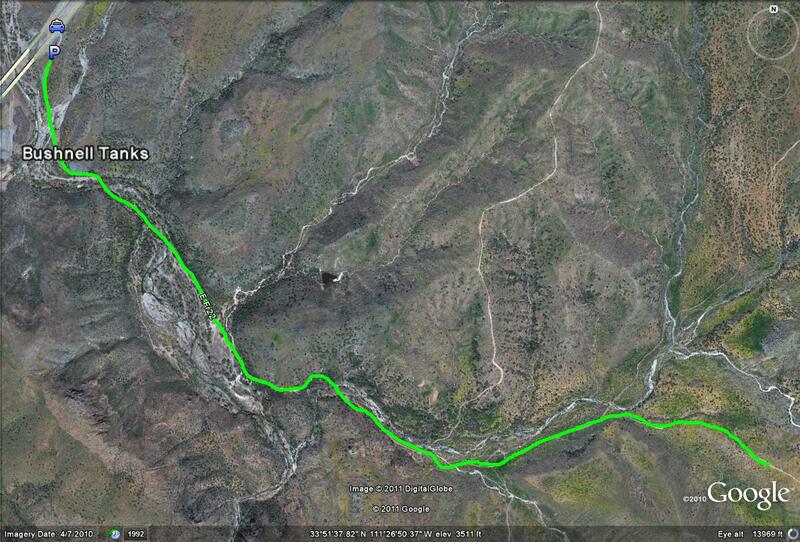 The lime-green path shows FR 22 which is hikeable by foot through the area. 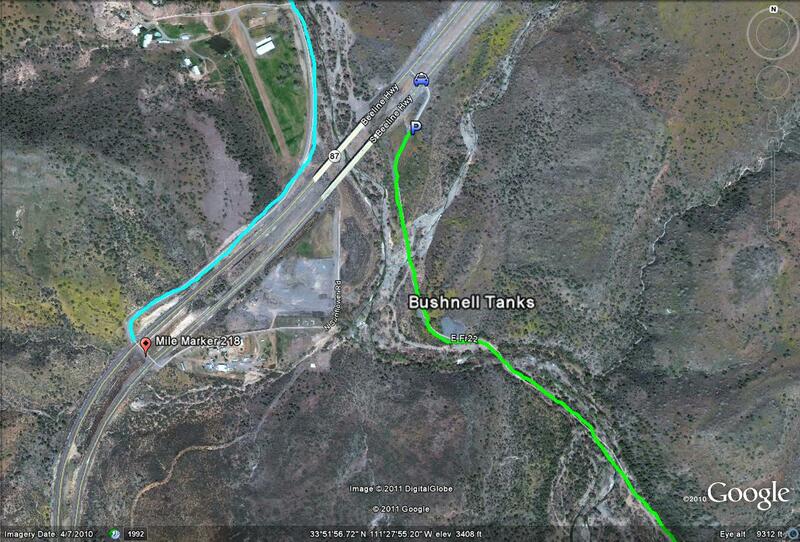 The light-blue line/path illustrates the turnoff to the Old Beeline Highway, which is on the west and opposite side of the road as the Bushnell Tanks. 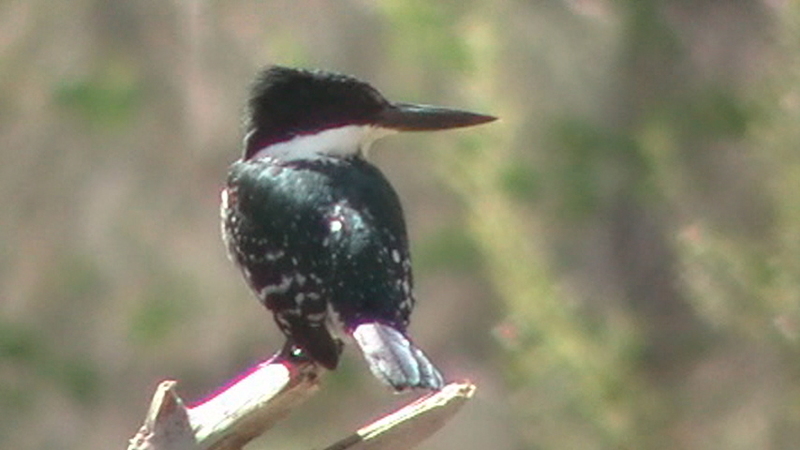 The blue car symbol shows where the turnoff is to access the Tanks, which is just north of the bridge crossing over Sycamore Creek. Map # 2: This map shows a greater area overview of the Bushnell Tanks, highlighted by Forest Road 22 in the lime-green path. This road goes over two miles through excellent habitat of sycamore/riparian in midst of juniper filled hillsides. Continue on the road even further for more more exploring, or even some of the side roads that branch off from the main FR 22. Map # 3: Shows the general area and access points of the Sunflower area, the Old Beeline Highway on the west side of the 87, and the Bushnell Tanks on the east side of the 87.